Here you will find links to Michael Burlingame’s original notes and commentary that correlate with the various pages of this Journal Divided essay. 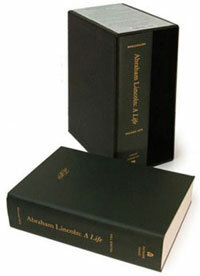 The notes come from Chapter 16 of Abraham Lincoln: A Life (pp. 1859-1862). The full-text PDF of Chapter 16 is available at the Lincoln Studies Center at Knox College.